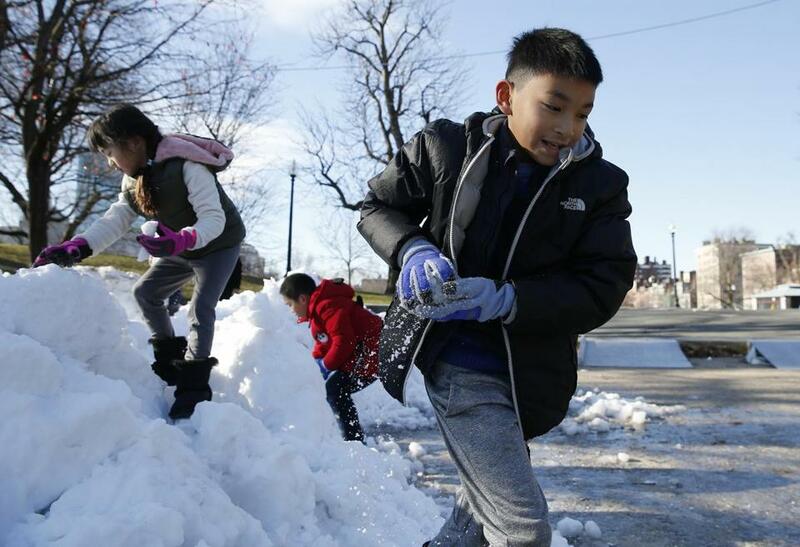 Alfred (right) formed a snowball in his hands as he played with other children on a pile of snow left by the zamboni near the Frog Pond in December. Some schools are closing early or closing on Tuesday as a snow storm threatens to complicate evening driving conditions. Forecasters expect the precipitation to begin around noon, leading to about 4 to 6 inches of snow around Boston. Here’s a list of some local schools and churches that have announced closures and delays as of 11 p.m. Monday evening. 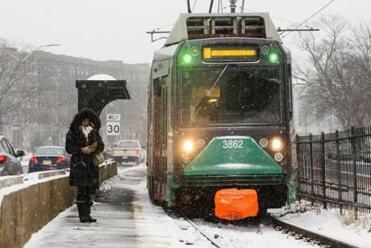 With a storm that could hamper Tuesday afternoon commute in Greater Boston, the MBTA plans to have an increased capacity on its subway lines starting at noon, officials said. Abigail Feldman can be reached at abigail.feldman@globe.com. Andrew Stanton can be reached at andrew.stanton@globe.com. Follow him on Twitter @_andrewstanton.